Since the first shop opened in 1982, Winners is now one of the most popular companies in Canada that sell quality clothing items and accessories at affordable prices. 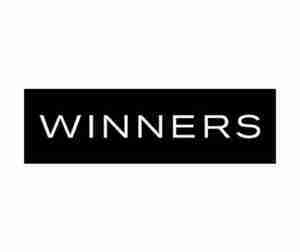 In Winners shop locations, you can find even designer clothes, except at considerably lower price tags than specialty stores. But does this all sound a bit too good to be true? Is there a catch to how the off-price retailer operates? Does Winners offer any quality guarantees? All these questions can be answered by the public information on their official website or by talking to a customer service representative. Check out the methods listed below and learn how to get in touch with Winners customer service via email, phone, and how to contact specific locations directly. If you’re unsure where the nearest Winners location is, all you have to do is access the official website. From the top toolbar you’ll be able to access the Store Locator. The page has a simple search box that you can use to type in an address, state, and city. Make sure you’ve enabled location sharing in your browser in order to get the most relevant results if you’re doing it on your smartphone. If not, you will have to be very specific with your address. Once you’ve found your store you’ll notice that the location is accompanied by its weekly schedule, current or upcoming events, specialty department’s information, and phone number. Next to the Store Locator, on the top menu, you’ll notice the ‘Grand Openings’ button. This one relays information regarding upcoming store openings or store relocations. There are two main ways to contact the customer service at Winners. Both of them are listed on the Contact Us page, which is conveniently down the middle. On the left side you’ll find an online form dedicated to general customer inquiries. You’re not obligated to fill in the fields for your phone number, city, or even the store’s province. Therefore, you can ask about location-specific or generic information. The right side of the contact page is for customers that want to speak with someone directly and without having to wait for a reply. The hours of operation are between Monday and Friday from 9:00 a.m., until 5:00 p.m. (EST). The hours of operation are once again Monday through Friday from 9:00 a.m. until 5:00 p.m. (EST). Accessing the FAQ page is done from the bottom customer service menu of the Winners landing page. Although it’s not the most comprehensive FAQ section you’ll see, it still offers answers regarding return policy, loyalty programs, discounts, and other general information about the business. Another thing worth mentioning is that the FAQ page doesn’t have an advanced search function. There are no older topics to visit, just what you see on the page. Clicking on a topic will slide you down to where the answer is on the page. The Gift Cards Page contains the necessary info on how to request a gift card that’s redeemable at any Winners stores as well as HomeSense and Marshall stores across Canada. From the same page you can purchase a gift card and send it to someone you know without having to pay a delivery fee. On the Gift Cards Page you can also find information on how to get your hands on Business Gift Cards, which are usually intended for employees. You can use the following phone number or email address to place an order. If you’re on your smartphone and you’re having a hard time navigating the Winners website, you can always turn to social media for some quick assistance or general information. You can find Winners on the following social media platforms. Twitter can be used for asking short questions, and even if a staff member doesn’t respond fast enough, it’s quite possible that someone from the community might be able to provide some assistance. Facebook can also be used to ask for general information on some policies, but it’s not indicated for solving issues regarding specific stores. The company recommends that you use the phone number or email address of the store you’re having issues with to resolve such issues. If you’re looking just to see new products and events, you can also follow Winners on two more social media platforms. However, the customer service doesn’t extend to YouTube or Instagram. Last but not least, it’s always worth considering signing up for the Winners E-newsletter. While this doesn’t help you deal with store-related incidents or solve your technical issues, they do offer plenty of information on massive discounts, events, new brand name products, and designer fashion items that are coming to stores near you. Winners are truly winners when it comes to taking care of their customers in every regard. They have amazing prices on very popular and cool products but they also offer a solid customer service. You can contact Winners via email or by phone if you wish to learn more about the retailer, enroll in the loyalty program, or voice your complaint. You can also follow the retailer on social media to stay apprised of new events, policy changes, or even to ask questions which don’t warrant a long phone conversation or endless string of emails. You can address questions to the customer service center or you can contact the stores individually for location-specific questions or problems. Submit your review of the Winners customers care service. Your e-mail address will not be published. All fields marked with * are mandatory. Today, January 18, 2019, I went to the Edmonton, Alberta City Centre Mall Winners location at about 2 pm. I happily picked out several items then brought them to the change room. I found a pair of jeans I liked but needed a different size so I went to ask the lady at the fitting room counter if she could help me. “Excuse me, I was wondering if I could try these on in a different size.” I said. “No, I can’t leave to go onto the floor.” She replied. I was taken back by this response. But, I figured I would just go get the different size myself. I went back into the fitting room and took my bag, not wanting to leave it unattended in a fitting room, and left the rest of my clothes and the clothes I was trying on in the room. “Excuse me, I’ve left the rest of my clothes in the fitting room and will just go grab the other size myself.” I said. “Oh no, you cannot go onto the floor with store clothing on.” She replied. Frustrated, I went back into the fitting room and changed into my own pants. Took my bag and went to go get the other size, leaving the other clothes I wanted to try on in the fitting room. “You can’t leave clothes in the fitting room.” She said. “So, you let me go back and fourth three times now without telling me that?” I said. “It’s just common sense.” She said. “No, it’s not. In any other retail store someone else would help me get another size.” I said. “Well I don’t see why it’s so hard for you to understand.” She said. “How do you expect me to get another size to try on?” I said. At this, she took the clothing from my hands and did not reply. I left. I have worked in retail for a long time, for companies that are known for their customer service like Lululemon and Anthropologie. I know what it is to give good customer service, or even adequate customer service. This was outrageously bad customer service. In no way did she help me problem solve the situation or ask another employee to help accommodate my needs. She treated with very little value and respect as a person, let alone as a customer trying to spend money at a company that employs her. Perhaps she thought I was trying to steal, but why on earth would I communicate with her what I was doing if I was. I was trying to be polite and respect her role. There are so many different ways an employee seeking to provide customer service could have handled that situation. I am certain this is not the type of customer service your company wishes to provide but that is what I received. I will not be shopping with Winners again and will encourage others to do the same. Do you work at Winners? Claim your listing for free! Qith a Company account you can to respond to reviews, update your profile and much more.